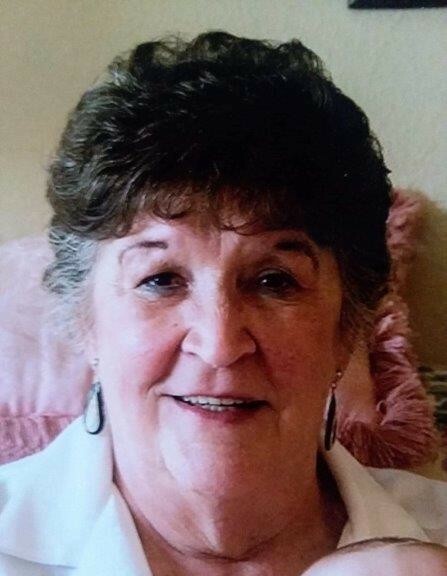 Edythe Ann Sumstad, 79, of Fergus Falls, died Thursday, April 11, 2019, at Sanford Medical Center in Fargo. Edythe was born on February 20, 1940 in Barnesville, MN, the daughter of Lester and Nellie (Bell) Lindholm. She attended country school near Lawndale for six years and later graduated from Barnesville High School in 1958. After receiving her education, Edythe entered the United States Army and was trained as a medical specialist. Following her honorable discharge, Edythe married Russell I. Johnson, and they were blessed with three children. In the early 1970’s, Edythe married Chester Sumstad and they resided in Fergus Falls. Over the years, Chester and Edythe remodeled and rented numerous area homes, which they enjoyed working on together. Chester passed away in January of 2002. Edythe worked for several area businesses over the years. She waitressed at Country Kitchen, was a bookkeeper at Sigelman Steel, the National T Packing Plant, and Red Owl, to name a few. Edythe was a member of the Fergus Falls VFW and was a Senior Center volunteer. She greatly enjoyed reading, crossword puzzles, gardening, flowers, and watching crime shows. She is survived by her children, Dawn (Mark Lewis) Swedberg of Cooperstown, ND, Dana Johnson of Fergus Falls, and Jill (Mark) Petersen of Fergus Falls; step-children, Karen Lavoi and Debbie Sumstad of Massachusetts; eight grandchildren, Kari, Emily, Tanner, Riley, Connor, Reagan, Amanda, and Jenna; four great-grandchildren, Tristan, Ethan, Lily, and Nels; special friend, Jennifer (Chuck) Keller of Underwood; four siblings, Glenn (Barbara) Lindholm of Florida, Larry (Rosemary) Lindholm of Sioux Falls, SD, Naomi Roesch of Barnesville, and Terri (Steve) Gillquist of Alexandria; and numerous nieces, nephews, relatives and friends. In addition to her parents, she was preceded in death by her two husbands; special friend, Paul Busko; step-daughter, Patti Sumstad; and numerous aunts and uncles. Memorial Service: 11 AM Saturday, May 18, 2019, at Glende-Nilson Funeral Home, Fergus Falls, with visitation one hour prior to services.